I want to write with full belief in the topic I’m talking about and convey that passion. Sharing the blog and book love is one of the things I love most about blogging. It’s why I want to put more of a focus on other blogs that I love and really help to showcase other people. I also want to work hard at commenting on other blogs, and interacting more on Twitter with new people. There can be a lot of jealousy in the blogging community and I HATE it! Jealousy is one of the worst things ever and I’ve really managed to stop getting so caught up with other people’s achievements lately, and it’s so freeing! I want to share my little quirks and the things that make me “me” because I’m not a perfect person and I don’t want to be! 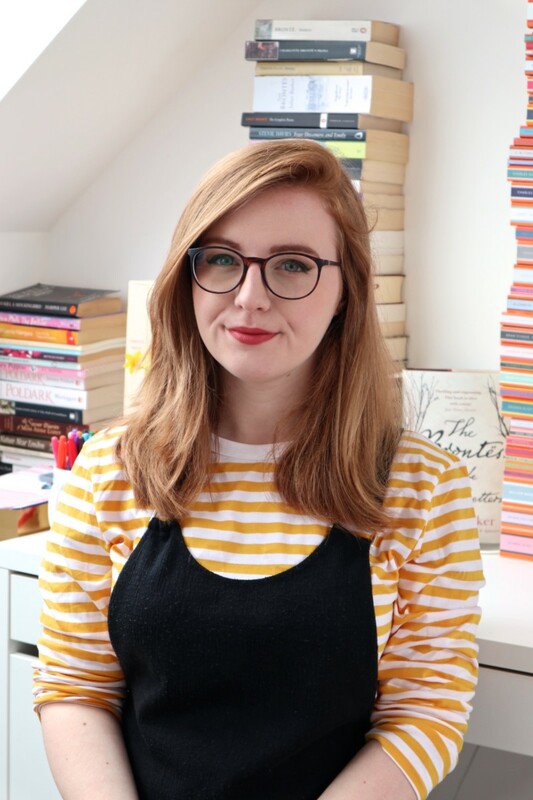 If you’ve followed my blog for a while, you’ll probably know just how much I struggle with pressure, and I don’t want to do this anymore, because there’s absolutely no need for it! I want to inspire other people but also be inspired myself. I want to be adventurous and try out new things because it’s so much fun, and it’s easy to just get used to one thing and stick with it until it’s overdone. This will happen no more! Reflection is so important to me because it means that you get to evaluate what’s working and what’s not and change it accordingly. It means you’re constantly progressing and working on new ideas, which I think is a fundamental blogging tool to have! Negative Lucy, be gone! I can get quite negative sometimes which is a bad blogging formula! I think it’s important to remember that we all started from 0 followers and, no matter what, you’re just doing this for fun! I’m hoping that following these will make for a much happier blogging experience, and maybe I’ll do an update post a few months down the line. Wish me luck! 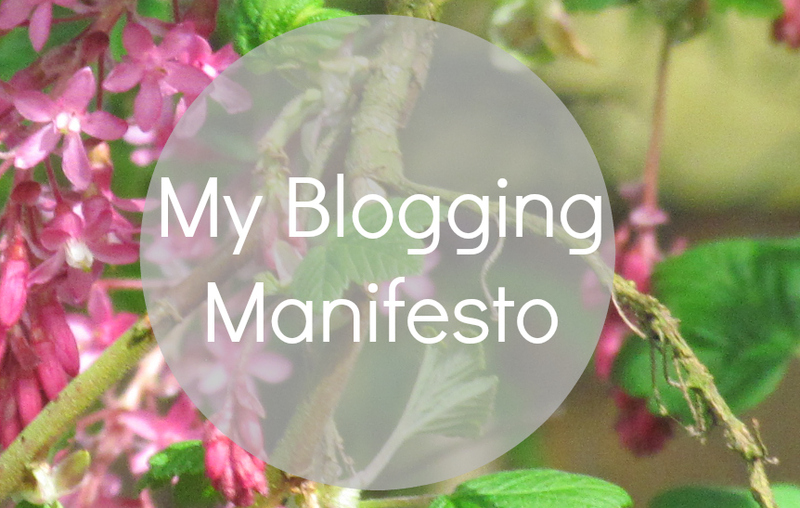 Do you have a blogging manifesto, or any rules you’ve set yourself? Tell me yours! THIS POST. I LOVE IT! I really want to make The Red Bookmark one of these to keep on the first page of my blogging notebook. I think this is a lovely little manifesto and best of luck sticking with it. I hope it works out for you, because I think it is a really good one to have. Ahhh, Lucy, I am SO in LOVE with this post!! I think sharing the love is so important, but it can really be easily forgotten. I really enjoy leaving comments or Tweeting bloggers to let them know that their content was helpful or swayed my decision of whether I should read a book or not. Inspire, aspire has to be my favorite of your list. The simplicity of the saying is just perfect, and it sums up exactly what I want to do with blogging. I want to be an inspiration to others, but I also want to constantly be aspiring to more. You’re totally right on your reflecting point. I think that’s often overlooked by bloggers, because a lot of the time, we’re just focused on creating new content and pushing it out to the world. But without reflection, how can we actually improve? That’s not something I really considered before, but now I plan to set some time out each week to reflect on my blog, my progress, and my goals. Negativity is something we all struggle with. (I mean, I hope it’s just not us!!) It gets SO easy to get caught up with the stats of other blogs compared to yours, or to start beating yourself up for not getting around to write a post or commenting. But like you said, we all started out doing this because we had a love for books and wanted to blog, and we always have to keep that in mind. Simply wanna tell that this is very helpful , Thanks for taking your time to write this. &#ouh0;T282gh thou has never so many counselors, yet do not forsake the counsel of your soul.” by John Ray. LUCY THIS IS SO PERFECT. If you wrote an article about life we’d all reach enhneltgiment. I kind of love this idea! I don’t really have a manifesto, or a set of rules I like to blog by, but I particularly like your last point: ‘remember your roots’. It’s something you easily forget about, we all started from scratch back in the day and we all fell in love with the same community. Rita @ Weaving Pages recently posted…My TBR Pile..